Dr. Mary Ann Shallcross Smith helps guide parents through the Potty Training Process. 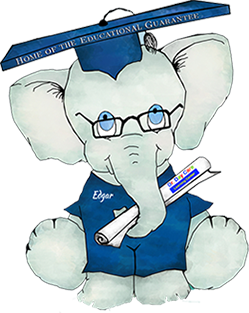 At Dr. Day Care, our aim is to not only educate the children in our care, but also to promote learning for our parents, teachers, and communities. An exciting new way for me to continue to pass on my expertise is through my new video tutorial series. My first educational video relates to a topic that parents of young children can relate to- Potty Training. 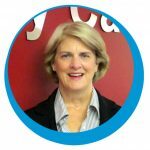 I have been involved with potty training for over 40 years as a mom, grandmother, and child care professional. Potty training is such a special milestone for toddlers and parents. It’s always a pleasure to pass on to parents the hands on experience I have learned over the years of toilet training hundreds of children. I am excited for this opportunity to share my knowledge with our community and appreciate your help. If you find this video informative- please share it with your friends! Is your child ready to begin potty training? What are the signs to look for and when is the best time to start potty training? Dr. Day Care shares tips on when to begin training and how to get started. Stay positive! You are your child’s biggest motivator and Dr. Mary Ann gives you suggestions on how to get your child started on the path to success. Dr. Day Care discusses typical challenges that your family may face as your child is potty training. Learn how to help make your child a part of the potty training process to ensure success. Dr. Day Care discusses her background and introduces parents, care givers, and teachers to potty training. There are so many resources available to assist with this process! Check out our Potty Training Resources page for printable certificates and stickers, books, and more.